Created in the United States in 1908, and made an official holiday in 1914, Mother’s Day popularity quickly spread throughout the world, with many countries adopting the holiday for their own calendar. Since then, it has become one of the most celebrated occasions of the year. This year, you can take part in the celebration when you share your heart with Mom. Mother’s Day 2012 is just around the corner, it is time for you to think of great Mother’s Day ideas to show your love to your beloved mom. Mother’s Day poems, Mother’s Day flowers, Mother’s Day cards, Mother’s Day greetings are flooding over the Internet and shops. 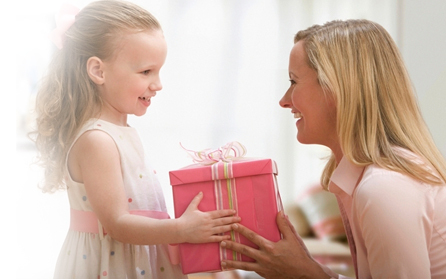 Have you got plans to show as well as tell your mom how much you appreciate her? If you haven’t figured out a strategy, we’re here to help get you on the right track by providing top 5 great gift ideas most moms will love. Give your mom a way to commemorate the happy times, and a photo album is the best way. Although modern technology helps you to store image files on storage devices and you can view them conveniently on computer or other media player. But photo album will never be obsolete. To appreciate photos with photo album will definitely give you a totally different warm feeling. So the photo album would make the perfect gift for any mom. Perhaps you have shot many video clips in your daily life, with laughter and tear filled. Then you can trip and crop these videos and make one long video to help her remember those old days and show your love to your mother, you can even add words to video. As for how to make it, a Video Converter can do this job. Or you may also burn video to DVD and send a disc to her for eternal saving. Routine working times make you busy every day, thus, you seldom spend time with your mother. On this special day, invite her to have dinner with you, or invite her to watch movie with you. Whatever you do, do it together and do it happily. Every new mom deserves a day of pampering at the spa, but she’s unlikely to do it for herself. Give her a spa gift certificate to encourage her to go get a massage, facial or other beauty treatments. You can purchase the service online. A day of pampering will actually relax her body and soul. She’ll get a kick out of listening to her classic tunes on an old-school turntable. If acquiring new gadgetry sounds too splendid, just track down some of CDs of the albums she used to listen to when you were a girl or even better, when she was a girl.